Building a business takes a while. One of the last things you want to do is have it go down the drain due to things that were in your control to fix. Professional window cleaning is one thing your business can’t afford to cut corners on. Here are 5 reasons you need professional window cleaning services in Miami. When have to run a business, you are the commander of the ship, and everything has to work properly for your business to thrive. Customers are the primary source of success with a business. Without them, your business may not amount to much of anything. Customers want to visit a place that is clean, and this include windows. Clean windows are part of your business’s first impression, and you always want to make a great, long-lasting impression. Like any business owner, you want the best for your business. Your windows are a part of your business that should be as perfect as possible. Harsh weather conditions can put part of your business perfection at risk. Unfavorable weather conditions, such as, acid rain, hail, and oxidation corrode and damage your window panes. This damage causes you to replace more than the normal of once or twice each year. Professional window cleaners have effective window solutions that protect the longevity of the windows. Efficient windows are more effective for saving money than other window types. These windows help lower your electric expenses in many ways. You can save hundreds of dollars by not having to pay for mold and mildew removal services for your windows. Because of fog and condensation, mold and other fungi and bacteria can thrive within the sills of the window. Damp and dark places are the best locations for mold and mildew growth. This issue can become frustrating and as time progresses, this problem will get worse, and can even make you sick. Over issues include dead bugs collecting on the window and in the window sill. This issue will affect how tightly you can close the windows, which can also be a security problem. Open windows cause drafts which increase your energy expenses. Professional window cleaning professionals in Miami prevent these issues and many more while helping you save money. Peace of mind is important when you have a business to run. You may be surprised how important clean windows are for running a business. Smudges and fingerprints are unsightly, as well as, distracting. You won’t be too comfortable conducting business in your office where there are dead bugs and other marks on the window. Your clients will only be focused on the hideous marks on the windows and not the conversation between the two of you. Dirty windows are an unprofessional eye sore you can avoid by hiring professional window cleaners. Relaxing can be defined different ways. Sometimes you don’t have to be on an island resort to relax. Something as simple as looking out of your office window, especially if it’s clean, can be the most relaxing feeling you have ever felt. Reflecting on the day or the day ahead can be relaxing when you’re looking out of a clean window. It’s a great way to clear your mind or gather your thoughts. You don’t know how rewarding a clean window with a view is until you have one of your own. 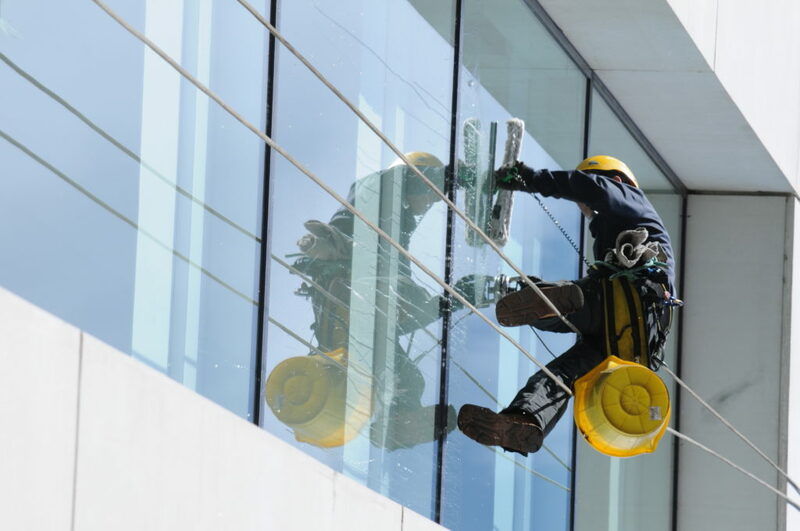 At Window Cleaning Miami, we know operating a business is a full-time job, and there’s not much time to devote to other important tasks, especially proper window cleaning. We are professionals who get the job perfect the first time. Window Cleaning Miami is a name you can trust and depend on. Contact us today to see how we can improve your business, as well as, perfect your windows. 1. 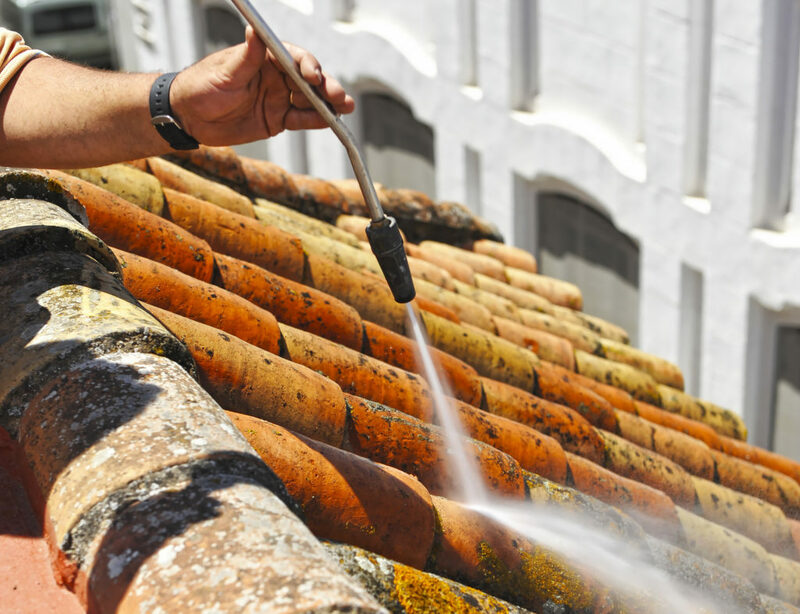 Miami Pressure Cleaning: Pressure cleaning is great to do once the storm has passed. It is helpful to clean floor surfaces and to also make stains on exterior walls go away. Given that there are so many light colored building designs in Miami, it helps restore the property to its prior color scheme. 2. Window Cleaning in Miami: Window cleaning is essential after a hurricane because the windows will be quite dirty due to the massive amount of wind and rain that have been carrying debris with them. Be sure that you have an extra strong window cleaning after the storm to clean up the surfaces. 3. Traditional Cleaning Staff: In the wake of a hurricane, there is always a great deal of mess to clean up both inside your home and office. 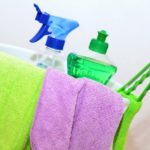 For this reason, it is very important to hire someone to come in and clean up the home overall. This will serve you well because you will be able to have a spotless interior that is free of dirt from outside. When you are attempting to repair your property after a hurricane, it is quite important that you take any and all necessary precautions in order to avoid future issues. This will be quite beneficial in terms of keeping your windows, exterior, and interior looking fresh. Thus, be sure that you have a proper cleaning company lined up so that you are prepared in the wake of a hurricane to rebuild and restructure your real estate asset. The benefits of having clean windows go well beyond aesthetics. Sure, clean windows look inviting from the outside and provide beautiful view of outdoors from the inside. But did you know that clean windows can help you save significant dollars from your electricity and gas bills? Clean, shiny windows add to the energy efficiency of your facility (home or office) because they can reflect sun’s rays more efficiently than dirty, smeared windows. They allow more natural heat and light to enter indoors and sanitize the place. Your energy costs reduce as a result. Natural light has also been linked with decreased instances of Seasonal Affective Disorder. Further, dirty glass panes, when left in the same state for long, develop stains and etching on their surface, damaging the windows. You may have to replace them all together, shelling out several hundred dollars in the process. And all of this just because the windows were not cleaned thoroughly and/or not cleaned regularly. And while you could try to clean them on your own, it is a job best left for the professionals. Professional windows cleaners are equipped with the knowledge and to clean thoroughly, in a way that allows you to make your home more energy efficient. They know the technological know-hows including the use of right chemicals, cleaning techniques and pressure. Here are some of the most compelling reasons to hire a professional window cleaning service. Different types of windows need different cleaning mechanisms. Top-to-bottom sliding windows for instance, must always be cleaned on the top-half first. Only after both inside and outside panes are cleaned must you work on the lower half of the window. Further, different hand motions during cleaning provide different finish. Professional window cleaners have the knowledge and the experience to clean different windows and provide a streak-free, bright and shiny window with no smudges. Thoroughly cleaned windows that help in energy efficiency must be cleaned using the right cleaning solutions, the correct squeegees and using the right tools. Professionals use pressure-based window washing systems to remove dirt, dust, bacteria, mold and other unwanted elements from every nook and corner of the window. Professionals use de-ionized water, eco-friendly chemicals and water fed poles for meticulous cleaning. They have all the right tools to do the job efficiently including ladders and extension poles to reach top level windows. They bring their own equipment to the job so that you don’t have to invest in purchasing and then storing the tools and chemicals needed for a detailed cleaning job. What is your plan for the hard-to-reach windows? Do you plan to risk your safety, possibly life, in cleaning them? Do you plan to let them be because they’re hard to reach? Professional window cleaners can safely reach inaccessible windows on complicated rooftops, overhangs and other elements of complex architecture in your building. Any thorough job is a time taking job. Windows have a fixed frame that you cannot remove for convenient and easy cleaning. Glass panes need gentle handling, increasing the amount of time and care you need to put into the job. Plus, if you have several windows to clean, the job could take weeks! Hand the task to professionals and you can make better use of your time. Further, their knowledge, experience and tools allow professional window cleaners to finish the job faster and better than you. Having a professional clean your windows will give you the peace of mind that comes from knowing the job is going to be done by experts who know what they are doing and can therefore finish it in a timely fashion. You’ll know they are safe and you’ll know they have themselves covered for any accidents. Always hire professional window cleaners with proper insurance.